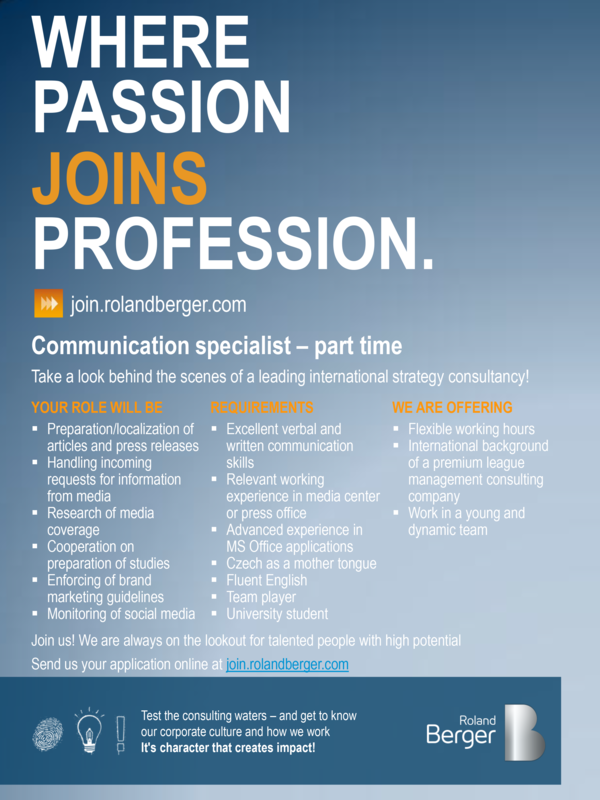 Part time position at Roland Berger GmbH available! 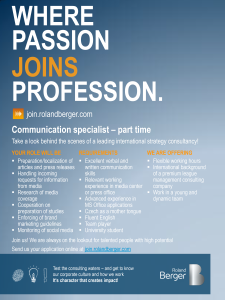 Our partner Roland Berger GmbH would like to bring to your attention, that they are looking for an exceptional student with experience in PR and marketing, to join their team. If you wish to apply or obtain more information, click on the poster to the left. We wish you good luck in your application process!